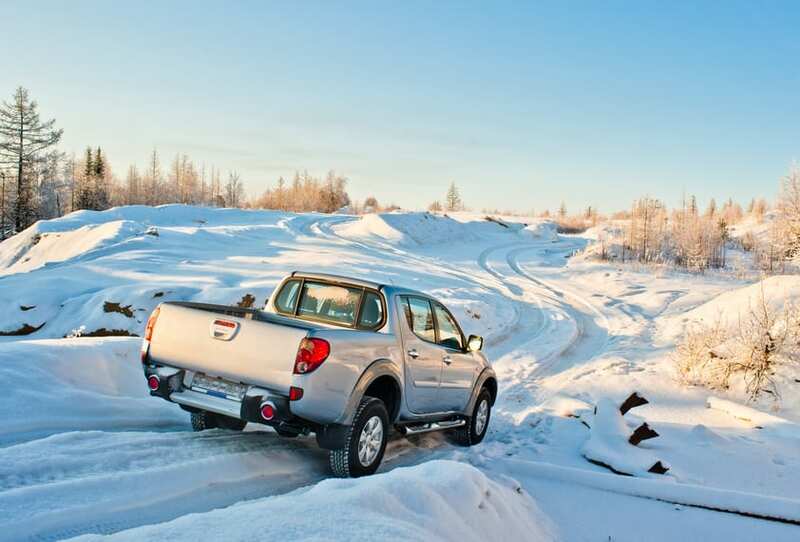 Your Winter Survival Checklist: What Gear Do You Need In Your Truck? Winter is nearly here, and in many places across the U.S. snow has already started falling. Whether you’re driving to work, the store, or headed out on a road trip, driving through the winter weather can be a nightmare where a minor problem can easily turn into a major disaster. It’s best to be prepared for highway mishaps, spin-outs, and breakdowns when they happen at any time of the year, but especially during the winter months. To get you prepared, we’ve created a winter survival checklist so you’ll have everything you need right in your truck in case of an emergency. Power bank portable cellphone chargers. To keep your phone from dying in case of an emergency, it’s a good idea to have a power bank portable cellphone charger on you. Blankets. If your truck gets stuck in the snow, it’s recommended to turn your car on for up to 10 minutes every hour that you’re stuck there. To stay warm, keep blankets in your truck where you can reach them. First aid kit. A few simple first aid gear is essential for your truck. Your kit ought to include bandages, antacids, antiseptic cream, and pain relievers. Jumper cables. This is an important tool to keep on hand both for yourself and for others in case you or someone you know needs a jump on the side of the winter road. A signal device such as road flares. If you get stuck on the side of the road, road flares are good to have to keep other drivers from running into you because they can’t see you. They also come in handy as a signal device if your phone dies or you can’t get a signal. Retractable truck anchors. Truck bed anchors are great for hauling and sometimes what you’ll need to haul is a car out of the snow. Snacks and water. If your truck gets stuck in the snow or breaks down somewhere, you could be trapped for a few minutes or hours. Keep food and water on hand for emergency situations. Looking for retractable tie downs and other truck equipment? It’s no secret that proper truck equipment such as retractable tie downs are crucial when you own a truck. In fact, up to 200,000 crashes over a four-year period were caused by unsecured, dangerous debris. Fortunately, BullRing has the truck tie down hooks and truck tie down straps you need to keep your load properly and safely secure. To learn more about our retractable tie downs for trucks and other tie down equipment, contact BullRing today.